What the U.S. Federal Government wants, the U.S. Federal Government gets. 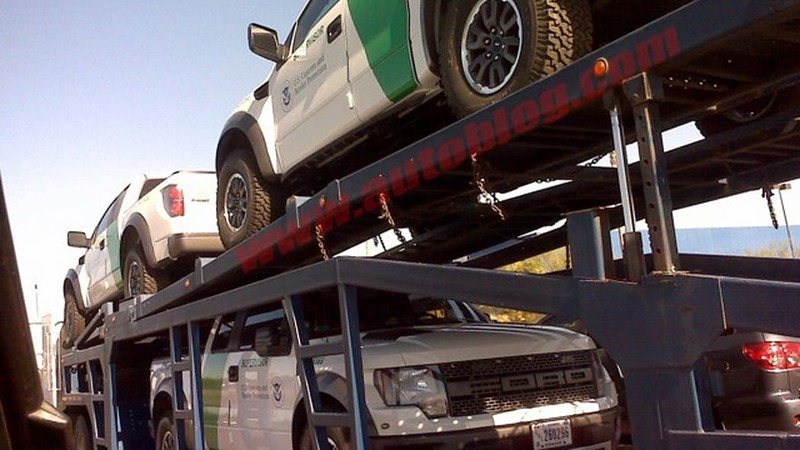 And what the Customs and Border Protection division of the U.S. Department of Homeland Security wanted were at least 10 Ford SVT Raptor pickup trucks to patrol the area where Arizona borders with Mexico. Only problem is that Ford puts a standard leather interior in all its Raptor trucks, which is evidently against the ordering preferences of the Feds. So, what to do? Put in an extra-special order with Ford, make a few phone calls (give us what we want... or else...) and patiently await delivery – a truckload of specially liveried pickups that Autoblog reader Matt happened photograph and send in to us. We went ahead and contacted Ford to be sure that it managed to deliver the authorities the Raptors it wanted, and we got an affirmative... sort of. 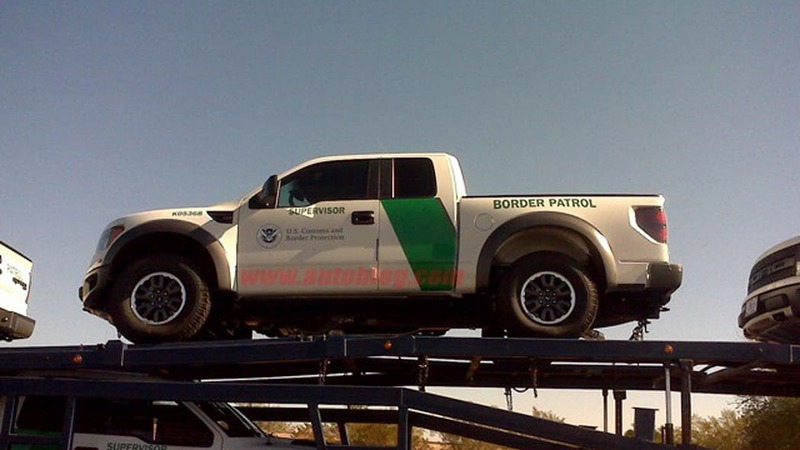 Ford would need the actual Vehicle Identification Numbers of the trucks to confirm individual equipment levels, and we're not about to march on down to Southern Arizona to grab them. But Ford says the Feds did order Raptors without leather and that the Blue Oval Bosses complied. So we're going with a definite probably. Have a look for yourself below. Thanks for the pics, Matt!